Golfers of all skill levels appreciate Flamingos golf course in Paradise Village Riviera Nayarit, Mexico, because although it is challenging, it is fair. 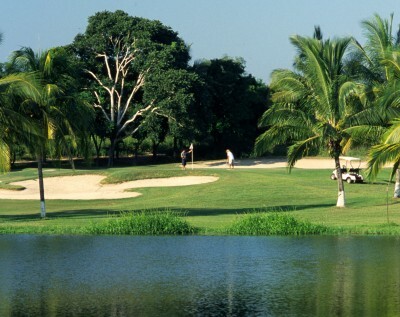 In addition to its great Percy Clifford design, Flamingos golf course boasts spectacular rolling hills with natural mangroves, natural lagoons and lush tropical rainforests, which help set Flamingos apart from other Mexico golf courses. Nature lovers enjoying a Mexico golf vacation at the Flamingos golf course will be struck by its unspoiled natural scenic beauty. Flamingos has matured as a world class golf resort since it was built in 1970 as a cornerstone of the Nuevo Vallarta resort development. 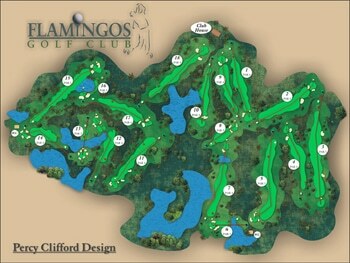 Flamingos Golfing Tip: Flamingos is a Parkland Riviera Nayarit golf course with rolling hills and has an excellent course design that will allow you to obtain dramatic results if you plan your game strategy well and play target golf. 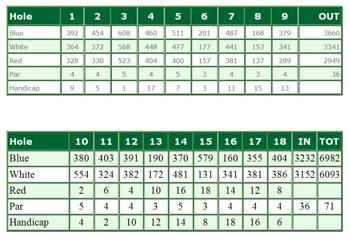 Check out our other Nayarit Mexico golf courses.